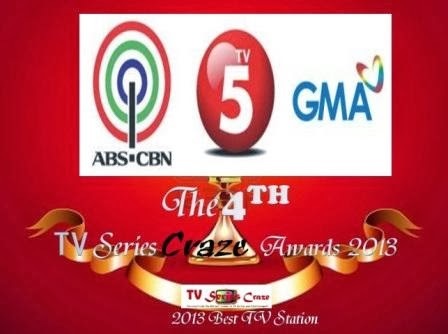 The year 2013 is also a great battle among the three giant TV stations namely ABS-CBN 2, GMA-7, and TV5. Each of them truly gave competitive TV programs which suits the trends of the modern era. But the question goes, which among the three gives the best among the rest?! For the first time, our very own TV Series Craze Awards is now opening this new category for the Best TV Station based on your votes! Will it be Kapamilya, Kapuso, or Kapatid to be hailed the title?! Or do you have other TV stations which you think deserves this award?! Well, start casting your votes! What will be the Best TV Station of the Year 2013?